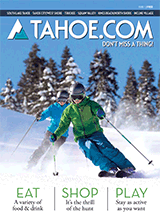 Tahoe Getaways has the Truckee-Tahoe North Shore area covered when it comes to vacation rentals. 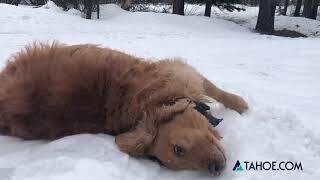 In business for more than 15 years, the staff at Tahoe Getaways has a wide array of properties available from pet-friendly to ski-in-ski-out arrangements. The office is open 365 days a year from 9 a.m. to 6 p.m. to take care of their customers. Now that's dedication! This vacation rental service is your go-to resource for the vacation rental homes tucked away in the southeast corner of the Lake Tahoe Basin. They have dozens of homes on the books in the areas of Zephyr Cove, Pinewild, Tahoe Village, Lake Village and in the mountains near the Nevada-side Heavenly lifts. Plus they have access to the classic Pine Cone Resort for lodging options. Amenities include the use of a wide range of mountain-fun accessories such as bikes and kayaks and access to the Anytime Fitness Center. A good number of the vacation rentals are pet friendly, so call ahead to discuss the possibility of bringing Fido along for the trip. They also network with At Tahoe Weddings and Special Events so you can coordinate your vacation along with your big celebration to take place at the Pine Cone Resort or at any of a dozen other sites that they work with in the area.